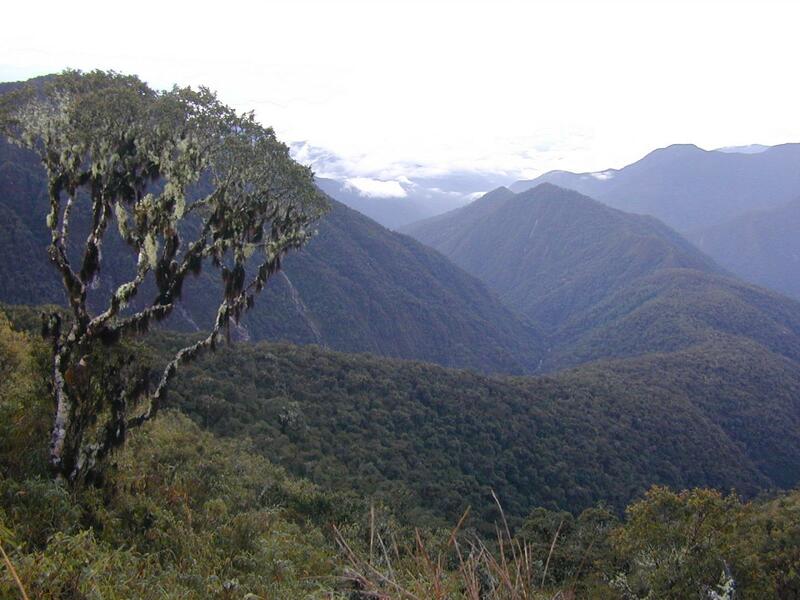 Hidden in plain sight – that's how researchers describe their discovery of a new genus of large forest tree commonly found, yet previously scientifically unknown, in the tropical Andes. Researchers from the Smithsonian and Wake Forest University detailed their findings in a study just released in the journal PhytoKeys. Named Incadendron esseri (literally "Esser's tree of the Inca"), the tree is a new genus and species commonly found along an ancient Inca path in Peru, the Trocha Unión. Its association with the land of the Inca empire inspired its scientific name. "Incadendron tells us a lot about how little we understand life on our planet. Here is a tree that ranges from southern Peru to Ecuador, that is abundant on the landscape, and yet it was unknown. Finding this tree isn't like finding another species of oak or another species of hickory–it's like finding oak or hickory in the first place," said Miles Silman, the Andrew Sabin Family Foundation Presidential Chair in Conservation Biology at Wake Forest. "This tree perplexed researchers for several years before being named as new. It just goes to show that so much biodiversity is unknown and that obvious new species are awaiting discovery everywhere – in remote ecological plots, as well as in our own backyards," said Kenneth Wurdack, a botanist with the Smithsonian's National Museum of Natural History. The tree belongs to the spurge family, Euphorbiaceae – best known for rubber trees, cassava, and poinsettias – and like many of its relatives, when damaged also bleeds white sap, known as latex, that serves to protect it from insects and diseases. Its ecological success in a difficult environment suggests more study is needed to find the hidden secrets that are often inherent in newly discovered and poorly known biodiversity. Currently the Incadendron is common in several research plots under intensive study as part of the Andes Biodiversity and Ecosystem Research Group, an international Andes-to-Amazon ecology program co-founded by Silman. For nearly 25 years, Silman has worked to gain greater understanding of Andean species distributions, biodiversity, and the response of forest ecosystems to climate and land use changes over time. "While Incadendron has a broad range along the Andes, it is susceptible to climate change because it lives in a narrow band of temperatures. As temperatures rise, the tree populations have to move up to cooler temperatures," said Silman. One of the study's co-authors, William Farfan-Rios, is a Wake Forest graduate student researching tropical forest dynamics and responses to changing environments along the Andes-to-Amazon elevational gradient. Discovering the Incadendron hits particularly close to home for the Cusco, Peru-native. Not only is the new genus vulnerable to climate change, but it is also threatened by deforestation in nearby areas. "It highlights the imperative role of parks and protected areas where it grows, such as Manu National Park and the Yanachaga-Chemillén National Park," he said. "Hopefully our ongoing study of the Incadendron and the intensive long-term forest monitoring will contribute to best practices in reforestation and forest management."